We’re just one week away from the start of the Premier League season – in all honesty the fact that it starts on Friday does not sit too well with me. It’s like the equivalent of opening your presents on Christmas Eve, that said I’m still going to watch as much Football as humanely possible and that starts with Arsenal vs Leicester at The Emirates. 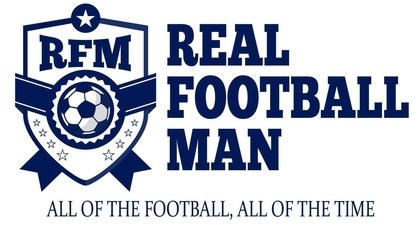 More importantly it signals the return of Fantasy Football and with that it is the return of the “Real Football Men” FPL competition. David McDonagh once again ran away with the title and everyone will be looking to knock the two time winner of his perch, question is though can he make it an incredible three trophy wins in a row. He is certainly the bookmakers favourite but the challenge will be tougher this season as the field has increased to 40+ at the time of writing and this readers is where you come in. I am looking to get a field of at least 50 competitors this season and this league is welcome to absolutely everyone. Avid readers of the website will probably wonder why the reviews tailed off towards to the end of the season, that was quite frankly because of time constraints but that situation will be alleviated this time around and am raring to go once again. After a Champions League finish in the first season, I had to make do with a top 10 one in the previous campaign so the pressure is definitely on me to deliver. More worrying though is that I have not even done my team, therefore I know exactly what I’ll be doing this weekend.